Sales and marketing increasingly rely on digital tools to achieve their goals. IT leaders have the opportunity to support these functions by enhancing CRM tools. 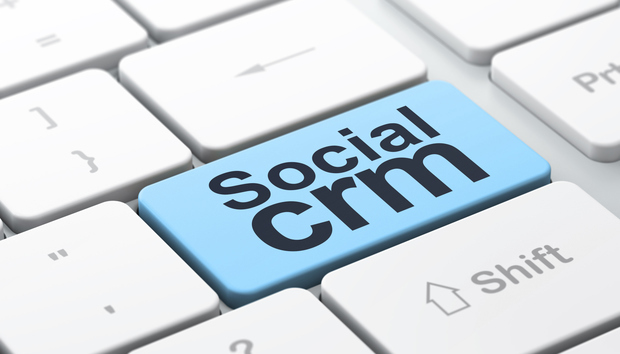 Delivering social media capabilities to CRM platforms is an excellent way to help these groups. Effective solutions, however, require more than a technology connection. CIOs and their staff need to build process and people strategies to ensure tools are used effectively. In many areas, the “build it and they will come” approach is going out of fashion. Social media, despite its popularity with the general public, still requires a strategic approach if these channels are to be used effectively for sales and marketing ends. “Currency, correctness, consistency and completeness are the key factors needed for CRM success,” says John Oechsle, CEO of Swiftpage. Swiftpage offers several CRM products including the popular Act package. Act is popular with professionals that use a “book of business” approach to their business such as financial professionals at Morgan Stanley and Wells Fargo. “Data completeness is a major challenge to execute in today’s CRM. Completeness includes logging every interaction whether that meetings, calls or social media,” Oechsle adds. Data management processes and tools smooth the process of gathering and using information effectively. IT has the opportunity to contribute as data subject matter experts and discover the root causes of poor data. Without that IT insight, sales managers are reduced to reprimanding individual sales professionals. Successfully selling to large companies requires organization and coordinating multiple stakeholders. Dan Radu, the founder of Marcomator, a marketing consulting firm in Toronto, helps B2B clients improve their sales and marketing processes. Radu’s work involves implementing Salesforce, Marketo, Pardot and other services. “Before CRM adds value, it is important to understand both the buyer persona and the sales process,” Radu says. “Without marketing automation and integration, sales representatives will not know what content, white papers or emails a lead has received. That means either manual tracking is needed by the sales representative or they head into sales meetings with flawed information,” he says. “Recent research by Gartner found that chief marketing officers are forecasted to become major spenders on marketing technology. That means technology decisions may occur independent of the CIO. A proactive IT organization still has much to add to the process of selecting and evaluating CRM vendors,” says Radu. If the organization already has extensive marketing activity in email and social media, improving CRM functionality is likely to yield significant benefits. Distinguishing between signal and noise in social media is becoming easier. Applications such as Relevance Logic categorize social media content into categories such as favorable or unfavorable. Consumer products company Unilever used CrowdFlower to monitor the effectiveness of marketing and advertising for the launch of its Dove Men+Care line of products. In Unilever’s case, CrowdFlower successfully identified positive and negative sentiment for 95 percent of consumer content. Evaluating social media content for action is an emerging best practice for CRM. Barclays, a large UK bank, used Sentiment Metrics, to monitor the launch of PingIt, a mobile banking app to transfer money. Barclays took the process a step further: diagnosing the reason for negative comments. Customers complained about the inability to transfer funds to users under the age of eighteen. These complaints highlight a process improvement opportunity and allow the company’s customer service division to swing into action. Additional improvement opportunities may be found by understanding the sales process. Many sales professionals are already using social media to do their work. That prompts the question: how can IT make that process easier and more productive? Time spent manually updating spreadsheets, managing status updates by hand and other processes take away from direct engagement with prospects and customers. Using business process modelling and business analysis methods offer an excellent starting point for IT managers getting started. Managing social media from a governance standpoint still matters when in the CRM context. The best approach is to simply reiterate that existing codes of conduct and professionalism apply across the board. Building on that starting point, what else is needed? Armed with a process and systems view, IT leaders have several points to contribute including data quality and information security best practices. High profile data breaches such as Target’s 2013 incident show that protecting customer data in all locations remains important. In 2015, Fortune reported that marketing technology is expected to become a $100 billion plus category by 2025. Known as martech (marketing technology), this growing set of services has great potential to increase revenues and profits. Reactive CIOs and IT managers may find themselves left out of the conversation if they do not engage their marketing peers early and often. Developing a relationship with the organization`s chief marketing officer (CMO) or equivalent leader is the next step forward. This connection will ensure that IT is involved in martech discussions at an early stage. After all, internal IT departments have great insights to offer when it comes to integrating CRM and other technologies into an organization`s technology portfolio. If IT is left out of the picture, there is potential for inefficient spending, technology governance problems and poor implementation. As marketing technology rises in prominence, invest time in studying the trends. Publications such as PeerSphere magazine (from the CMO Council), Adobe’s CMO.com, Advertising Age and the CMO Survey are helpful resources. Data science, big data and analytics are all trends that marketing and technology leaders are excited to leverage. By better understanding the marketing department`s needs, IT will continue to stay relevant and thrive.